We want our children to be curious, industrious and agile learners who make a positive ‘dent in the universe’. 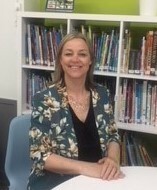 Simon de Senlis is a happy and successful primary school in East Hunsbury, Northampton with around 430 pupils on roll and I am very proud to be Headteacher of such a warm and vibrant school community. At Simon de Senlis, we are passionate about learning and aim for our children to become curious, industrious and agile learners who make a positive 'dent in the universe'. We believe that all children should receive great teaching and be able to leave our school with the academic foundations for success in the future. Alongside this, we offer our children a wide range of learning opportunities through Sport, The Arts, Drama and Technology which help to develop their creativity, confidence and well-being. Staff work hard at our school to ensure that children are challenged and supported to achieve highly and we are fortunate to benefit from a very supportive parent community. Children's behaviour is outstanding and they enjoy learning at our school! I hope that you enjoy your visit to our website - you can find out more about how our children learn on our class blogs at simondesenlisblogs.org. Copyright © 2018 Simon de Senlis Primary School Northamptonshire. All rights reserved.